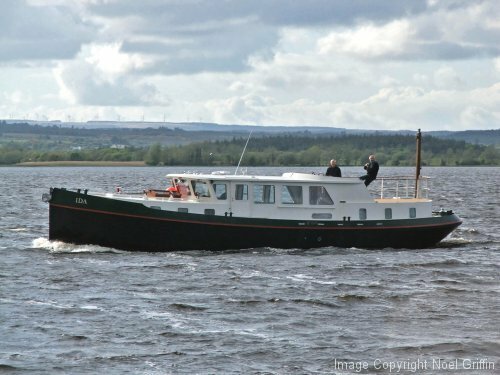 Tom and Dee Bailey’s cruising barge ‘Ida’ photographed on her trials on Lough Derg in May 2009. Designed specifically to be able to cover the whole of the Irish waterway network she is the first of my original cruising barge concept to be launched and has delighted her owners. Steelwork by South Holland Marine and fitout by Stoke on Trent Boat Builders.